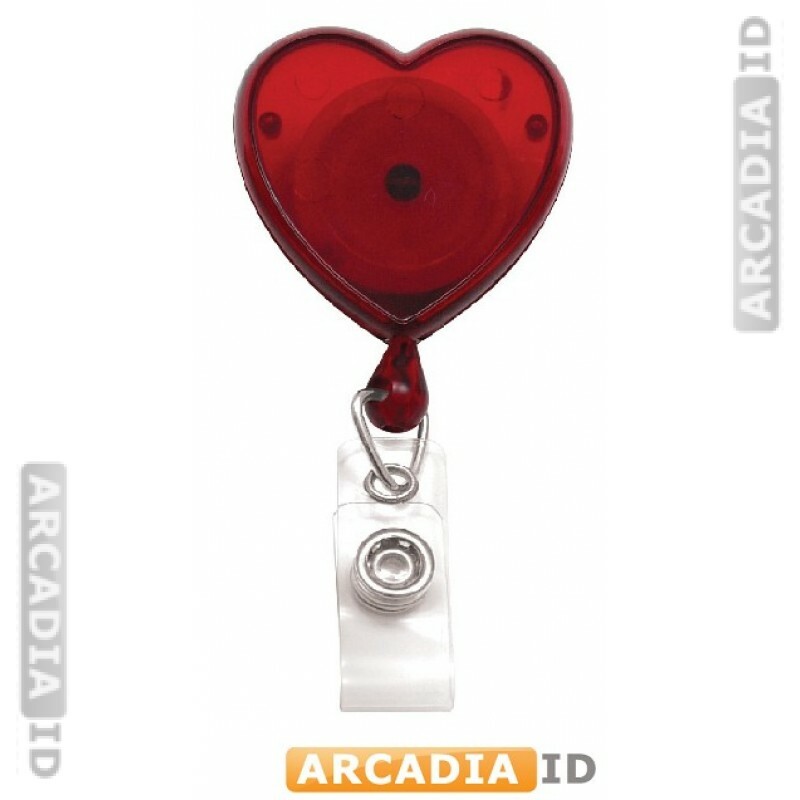 These badge reels are shaped like a heart in translucent red. 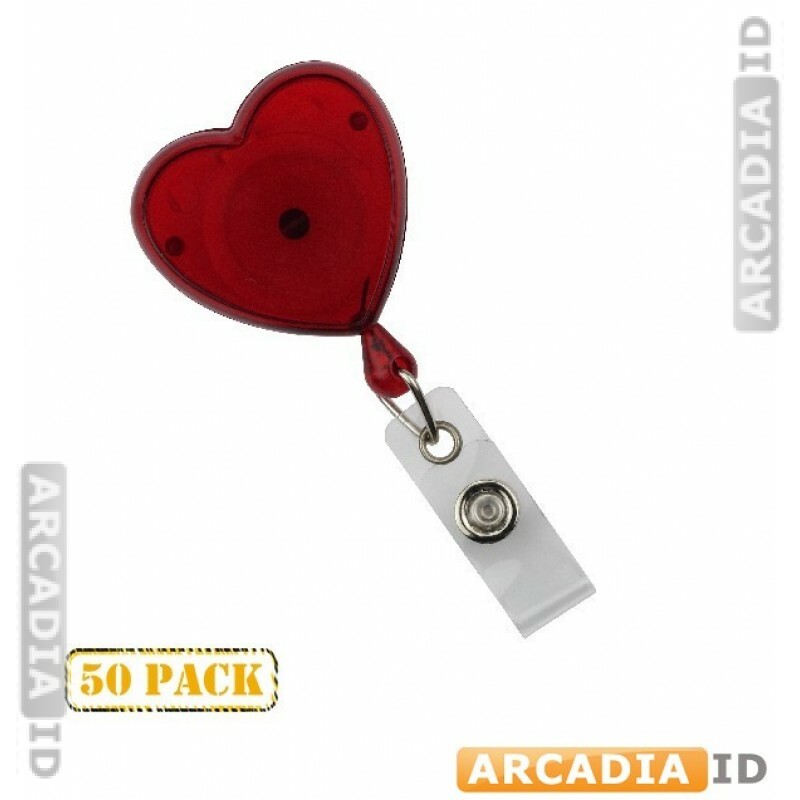 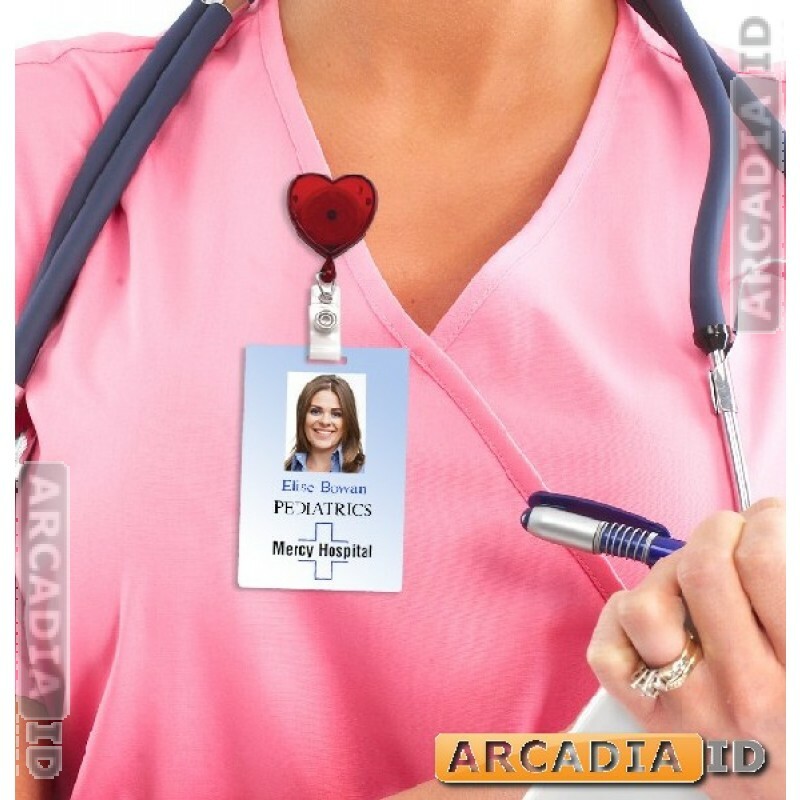 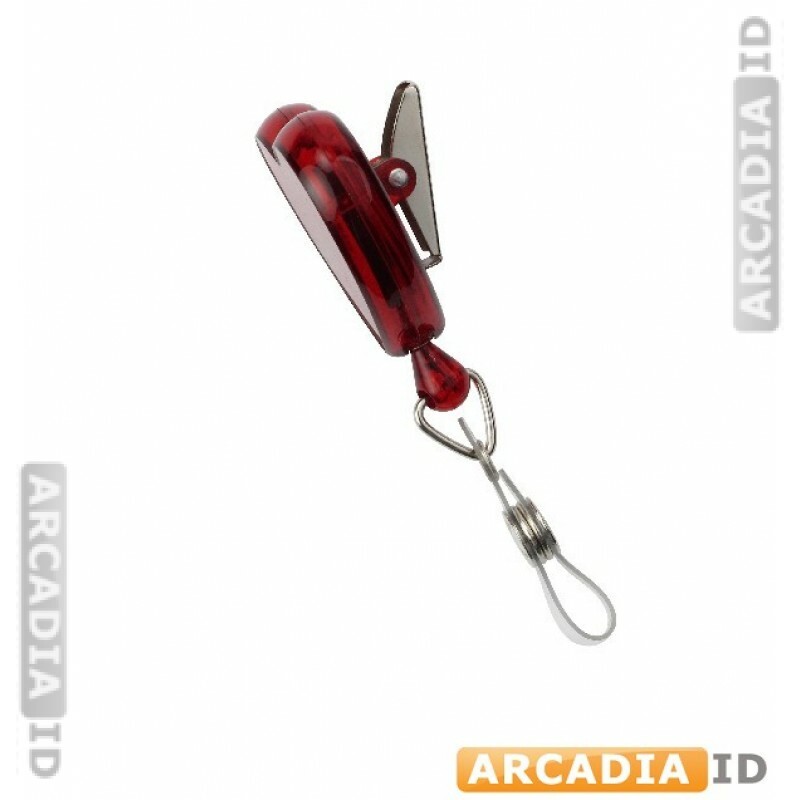 These provide easy access to your ID badges and secure firmly to your clothing. 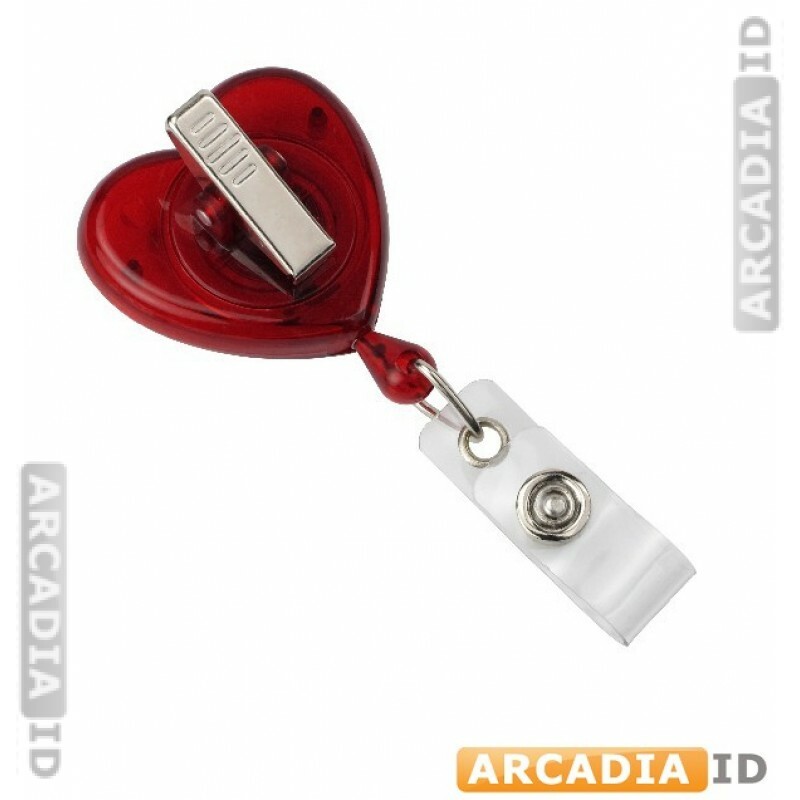 For our other quality photo ID card products and more take a look around the site.